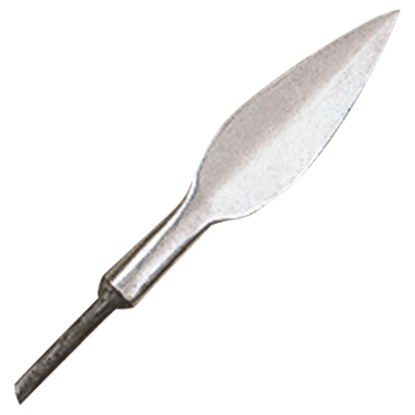 Arrowheads are like knives - they have many designs, and it is best to choose the right one for the task. This Acute Barbed Broadhead Arrowhead is one such design that was used in the Middle Ages, up until the renaissance and beyond. 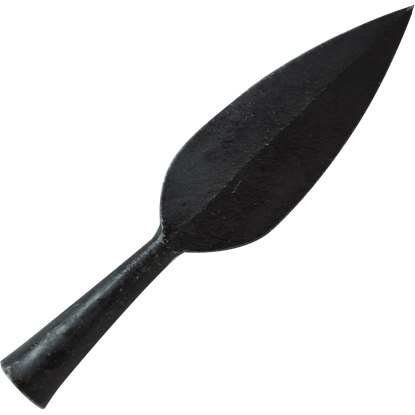 Arrowheads are like knives - they have many designs, and it is best to choose the right one for the task. This Barbed Broadhead Arrowhead is one such design that was used in the Middle Ages, up until the renaissance and beyond. 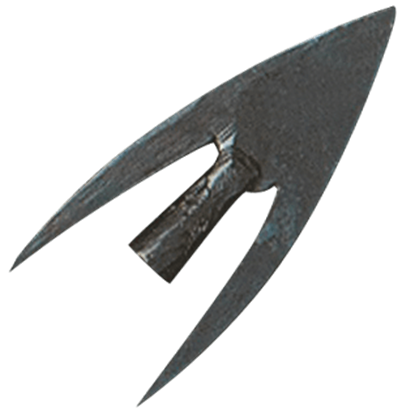 These period-style arrow heads are hand crafted in mild steel. The Chippenham Type One Arrowhead has an overall length of three inches and its breadth is 0.8 inches. No shaft is supplied. These period-style arrow heads are hand crafted in mild steel. The Chippenham Type Three Arrowhead has an overall length of 2.2 inches and its breadth is 0.7 inches. No shaft is supplied. 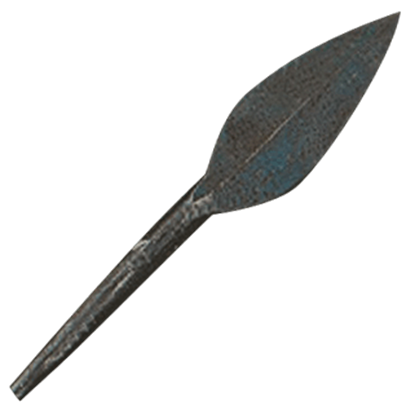 Arrowheads are like knives - they have many designs, and it is best to choose the right one for the task. 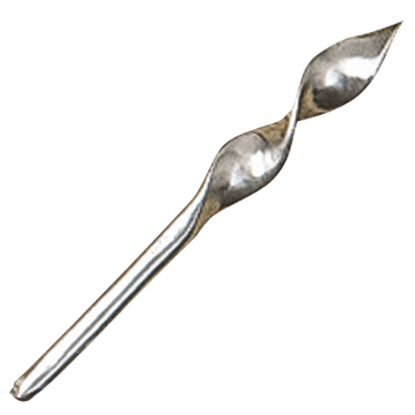 This Curved Broadhead Arrowhead is one such design that was used in the Middle Ages, up until the renaissance and beyond. These period-style arrow heads are hand crafted in mild steel. 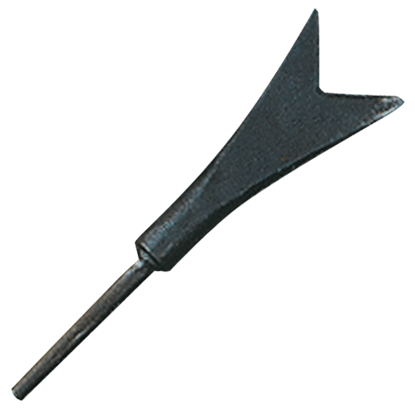 The Curved Broadhead Arrowhead has an overall length of 2 inches and its breadth is 1 inch. No shaft is supplied. 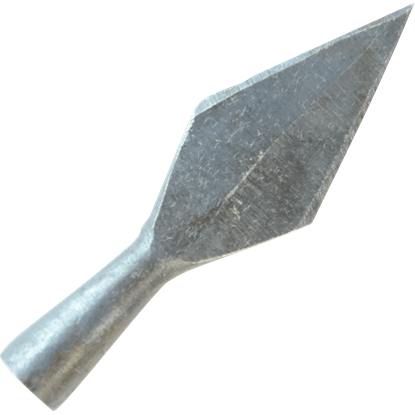 Arrowheads are like knives - they have many designs, and it is best to choose the right one for the task. This Curved Leafblade Arrowhead is one such design that was used in the Middle Ages, up until the renaissance and beyond. 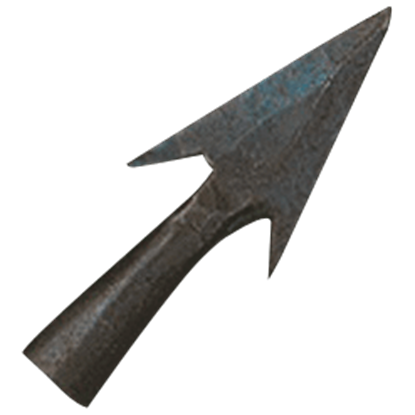 Arrowheads come in various shapes and sizes, and this is true now just as it was in the medieval ages. This Diamond Bodkin Arrowhead echoes the traditional bodkin while also bridging the gap between the broadhead style. Arrowheads are like knives - they have many designs, and it is best to choose the right one for the task. 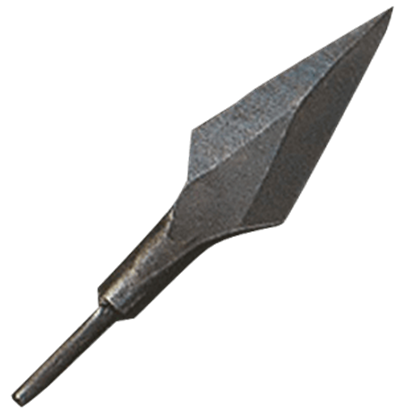 This Diamond Dart Broadhead Arrowhead is one such design that was used in the Middle Ages, up until the renaissance and beyond. Arrowheads are like knives - they have many designs, and it is best to choose the right one for the task. This Double Point Arrowhead is one such design that was used in the Middle Ages, up until the renaissance and beyond. Arrowheads are like knives - they have many designs, and it is best to choose the right one for the task. 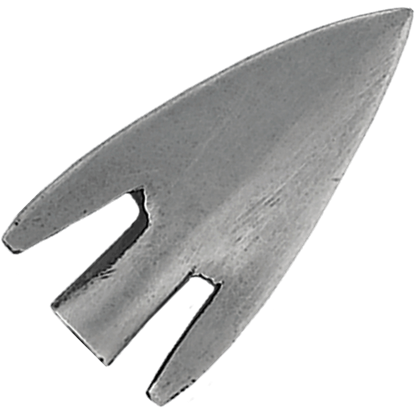 This Drillpoint Tip Arrowhead is one such design that was used in the Middle Ages, up until the renaissance and beyond. 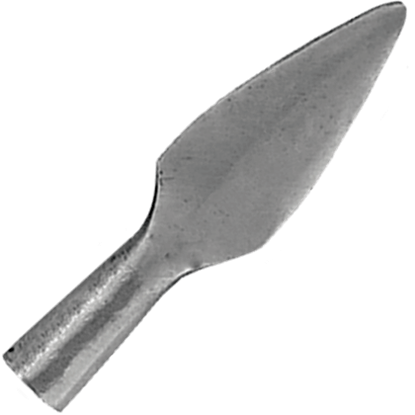 Arrowheads are like knives - they have many designs, and it is best to choose the right one for the task. 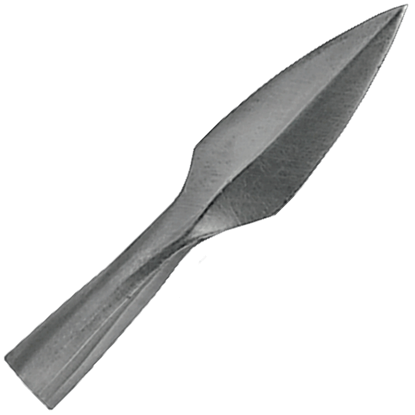 This Flat Edged Leafblade Arrowhead is one such design that was used in the Middle Ages, up until the renaissance and beyond.